While I am weeding our history collection (removing books that are out of date, duplicates no longer needed, or damaged), I sometimes find books that are surprisingly pristine because no one has ever borrowed them. It does not happen often, but when it does I feel a bit sad. I know as a book selector that I can not unfailingly know what will interest future readers, but I regret finding books that have not been read even once. Such is the case with China's First Emperor and His Terracotta Warriors by Frances Wood. I found it unspoiled by readers' fingers. It looked pretty interesting to me, and I probably was the librarian who purchased it, so I checked it out. Wood is the head of the Chinese Department at the British Library and author of several books about China. As such, she is in a position to know much more about the history of China than most of us, and she recognizes that we do not make the mental connections that the Chinese do when they see the Great Wall or the Terracotta Warriors found buried in Shaanxi province. They are sights of wonder to us. To the Chinese, they are potent historical symbols that remind them of the legendary First Emperor, Qin Shi Huangdi (258-210 BCE). He is a key figure in Chinese history, credited with expanding the empire, starting great public works, urbanizing the nation, and creation of a bureaucracy that made China strong for over two thousand years. Despite all of these accomplishments, he is not exactly revered by the modern Chinese, for ancient stories tell of his great brutality. Many peasants and soldiers died following his orders. In China's First Emperor and His Terracotta Warriors, Wood claims that Qin Shi Huangdi's reptation may not be a fair assessment of his true character. She points out that no first hand accounts of his life exist and all that is known about him was written by enemies. Contrary to many claims, he did not build the Great Wall; sections were in place for as much as two hundred years before his reign; he constructed some of the links and improved inadequate sections. The title is misleading. Wood does not really tell much about the Terracotta Warriors. Still, it is a book worth reading. Readers learn about the struggle between Confucianism and Legalism, ancient Chinese society, and the emperor's disregard for the environment. They also read about how Mao Zedong admired the First Emperor, especially the latter's trying to wipe out the past through the burning of books and other records. 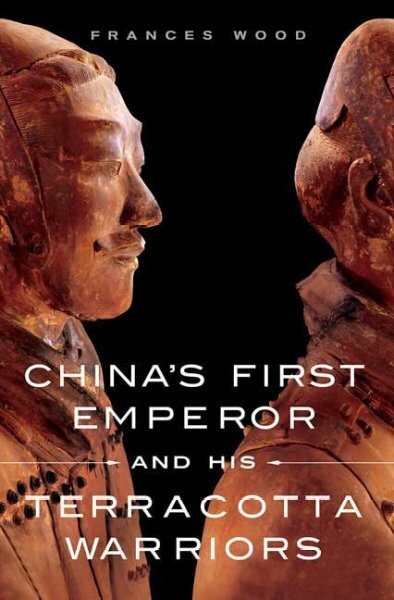 China's First Emperor and His Terracotta Warriors is a short book (only 159 pages of text) and a good start for anyone wanting to learn more about the legacy of the ancient country. Wood, Frances. China's First Emperor and His Terracotta Warriors. St. Martin's Press, 2007. ISBN 9780312381127.